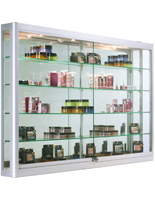 This Display Cabinet Features Four Recessed Halogen Lights and Four Glass Shelves! 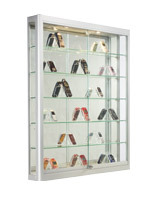 This Display Cabinet Is a Silver Metal Polished Display Case! 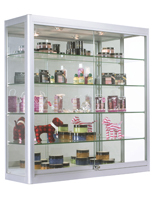 This Display Cabinet Is Available for Purchase Online! 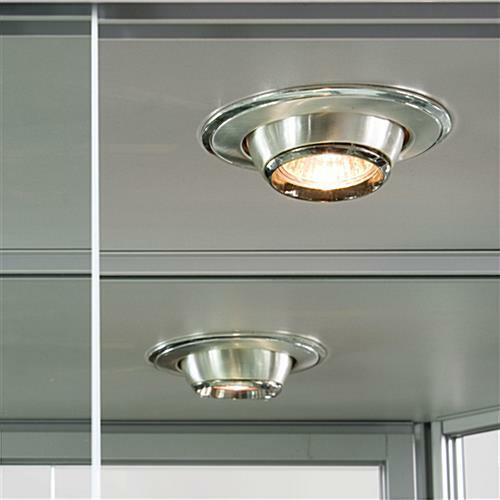 (4) 20-watt recessed eyeball halogen lights direct light towards the front or back of the wall case! 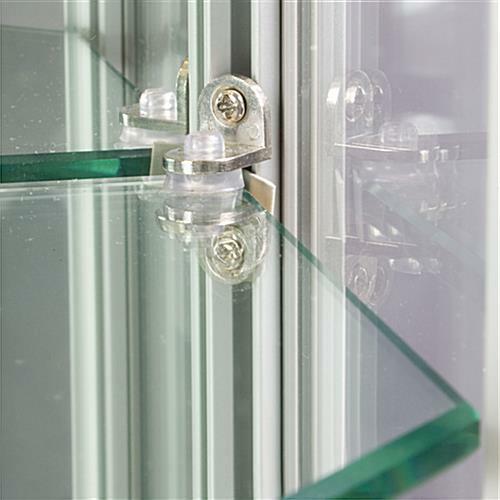 Rubber-cushioning provides extra protection to glass shelves! Ships pre-assembled to save setup time! This silver shadow box case is engineered with a user in mind. 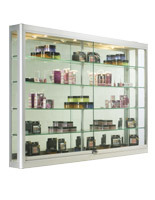 Four 20-watt halogen top lights can be angled towards the front or rear of the display cabinet. 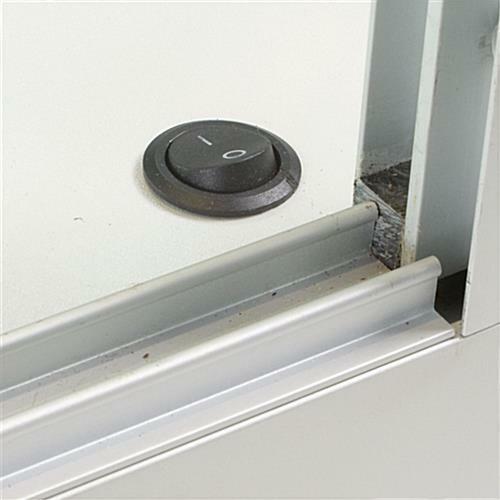 An easy-to-each on/off switch is located in the inner right hand corner of the case, for easy lighting modifications. A mirrored back further highlights exhibited merchandise. This shadow box, display cabinet is fitted with four fully adjustable shelves to suit merchandise, trophies or memorabilia of deviating heights. 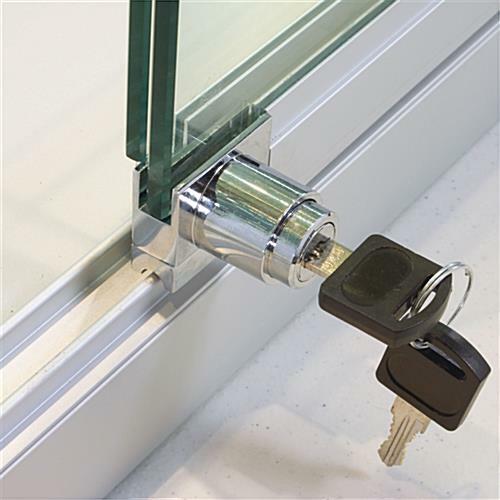 All glass surfaces, including front doors, side panels, and adjustable shelves are crafted from tempered glass, selling a safer alternative than traditional annealed glass. The display cabinet has sliding front doors which can be securely closed with a plunger lock to warrant only authorized individuals have entrance to exhibit cabinet articles. This display cabinet is an extra-deep model, standing out 12" from the wall rather than only 6", like traditional display cabinets. This display cabinet ships pre-assembled and Mounting Instructions. Case mounts with two heavy-duty z-bar mounts. 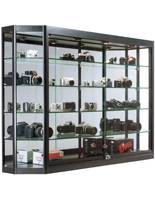 A display cabinet can be utilized in a wide selection of commercial places, similar to jewelry or retail store, boutique, gift shop, museum, hospital, school or business lobby. 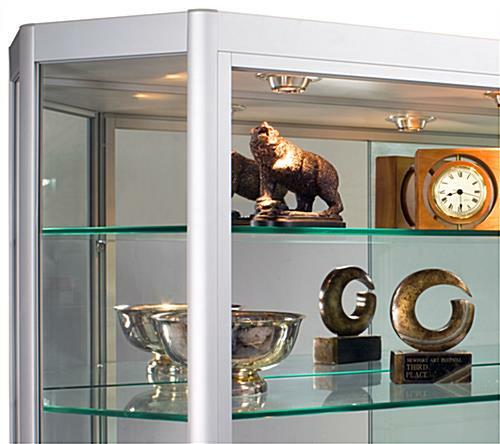 This display cabinet, likewise recognized as a shadow box, incorporates a attractive and rugged silver anodized aluminum framing, sure to complement nearly any décor. Do you have a teeming, congested or small retail store? 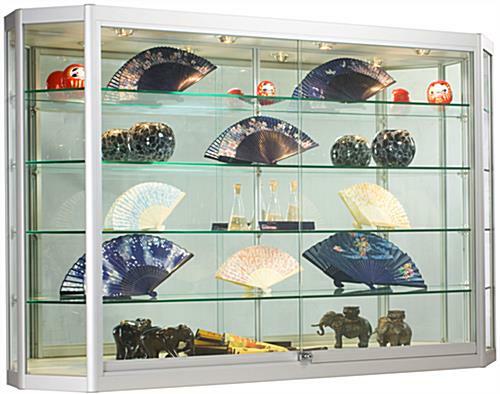 This display cabinet is an ideal solution! 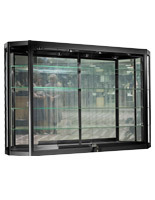 By moving articles.out of floor-standing cases and up into a display cabinet, you can open up floor area to permit free flow of traffic inside your store. Or, you can use your empty floor-standing displays to add more diversity to your product line. Choice of method, a new silver, angled-front display cabinet is an ideal method to exchange the appearance and mood of these commercial setting. 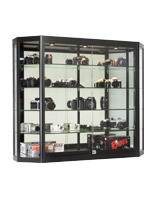 And because the display cabinet is set at such an economical price, it won't break your budget! 60.0" x 39.5" x 20.0"